We will briefly look at all four of them so you'll be better equipped to find the best forex bonuses for your situation. 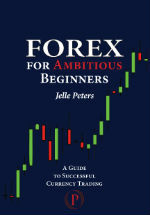 A forex pending bonus is a deposit bonus that cannot be immediately used for trading. Instead, you trade to clear the bonus and once you've cleared it, you can immediately cash out the bonus or use it for trading. The big difference with instant bonuses is that you can trade immediately with those. 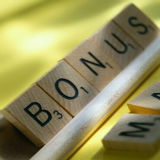 Of course an instant bonus is almost always better than a pending bonus (unless the clearing requirements for the pending bonus are really good, so you can free it up much quicker than an average instant bonus) but in some cases the broker offers a pending bonus on top of another bonus, making the total offer extra sweet. These are generally the best forex bonuses, because they're often pretty big and juicy and they are immediately added to your forex account. They are also the most common bonus offers when it comes to online forex trading. 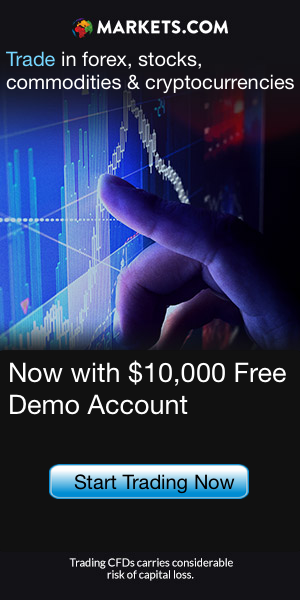 Forex brokers want you to try out their platform and the instant bonus offer is a very strong way to achieve that. So if a broker offers an instant bonus of 20% up to $1,000 it means that the broker will add 20% of your first deposit as an extra to your account. For instance, if you deposit $500, the broker will deposit $600 in your account. You still have to trade to be able to cash out the bonus, but you can immediately use it to trade with. A good example of an instant bonus is the 20% up to $2,000 of Markets.com. Immediately adds 20% of your deposit to your account upon your first deposit. A forex no deposit bonus is a real money bonus that you get without making a deposit yourself first. Forex brokers rarely offer it because you can't become a very active trader if you're not willing to put up some money of your own. But occasionally forex brokers approach us with a no deposit bonus because they want a lot of traders to try out their trading platform. The no deposit bonus can not be cashed out right away. As with an instant bonus, you have to trade a certain number of positions before you can cash out. However, it does offer you a 100% free forex experience, because you can trade with real money without risking any money of your own. One word of advice: if ever you have to choose between a big first deposit bonus and a modest no deposit bonus, choose the big deposit bonus. A $20 no deposit bonus is nice but if it means you're shut out of a $200 instant forex bonus you'd be stealing from yourself. A nice example of a no deposit bonus is the $5 no deposit bonus at Marketiva. Of course it's not a lot, but because a pip can be as small as 1 cent at Marketiva, those $5 can be an excellent try out for beginning forex traders. Because most forex brokers offer very good sign-up bonuses that are instantly available for you to trade with, they don't offer a lot of reload bonuses. A forex reload bonus means that the broker invites you to deposit again in exchange for another bonus, usually an instant bonus. A forex reload bonus can be a great boon, especially if you're already trading regularly at the broker. Basically the broker rewards you with free money to continue trading. A good example of a forex broker that offers reload bonuses is forex broker FBS. They offer a 25% reload bonus on each deposit, until you've had a total of $10,000 in bonus money! So if you try out FBS and like trading there, FBS will make staying worth your while.